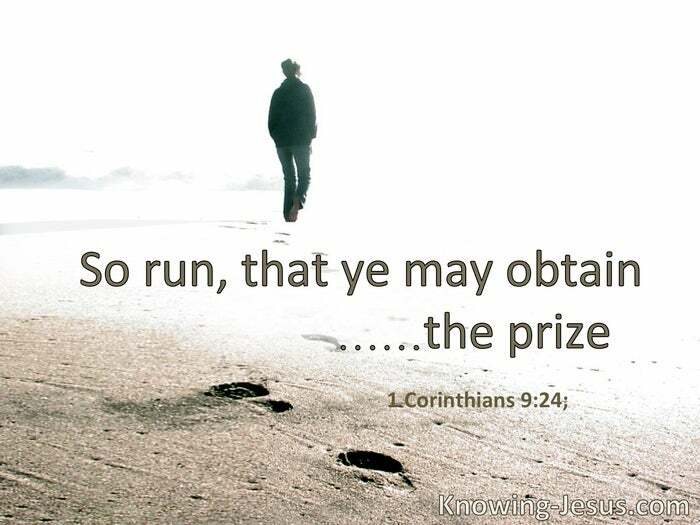 Run in such a way that you may obtain [the prize]. The lazy man says, “There is a lion outside!” § Let us lay aside every weight, and the sin which so easily ensnares us, and let us run with endurance the race that is set before us, looking unto Jesus, the author and finisher of our faith. Let us cleanse ourselves from all filthiness of the flesh and spirit, perfecting holiness in the fear of God. I press toward the goal. § I run thus: not with uncertainty… I discipline my body and bring it into subjection, lest, when I have preached to others, I myself should become disqualified. The form of this world is passing away. Nevertheless we, according to His promise, look for new heavens and a new earth in which righteousness dwells. 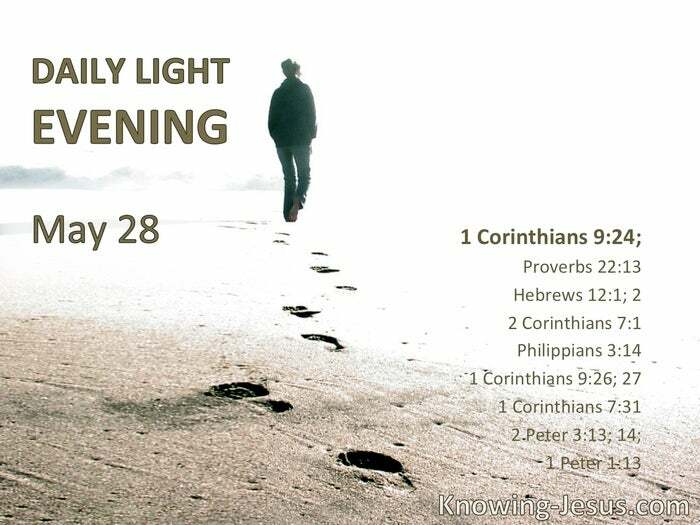 Therefore, beloved, looking forward to these things, be diligent. § Gird up the loins of your mind, be sober, and rest your hope fully upon the grace that is to be brought to you at the revelation of Jesus Christ.